Obtaining Social Security Disability benefits is a complicated and difficult process. At the law firm of Douglas W. Hutson, Attorney at Law, in Athens, Tennessee, we have helped people get the benefits they need and deserve for over 30 years. Our lead attorney Douglas W. Hutson was born and raised in Athens. He earned a law degree from the University of Tennessee in Knoxville in 1983, and he has practiced Social Security Disability law ever since. Today, he has offices in both Athens and Cleveland, Tennessee, and he represents people throughout the surrounding areas. Most people who apply for Social Security Disability benefits are initially denied. Just because you were denied benefits from the Social Security Administration does not mean you are not entitled to them. Douglas W. Hutson helps people with disabilities prove their cases through SSD appeals in order to obtain rightful benefits. He has an excellent record in appeals cases, including several years in a row without ever losing a case. 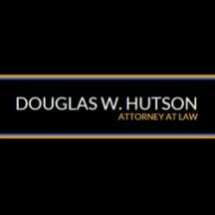 When you work with our law firm, you will work with Douglas W. Hutson directly. If you are an East Tennessee resident who is struggling to get SSD benefits, there is no need to hire a nonlawyer representative or an out-of-state disability law firm that advertises on TV. You can choose to work with a local, dedicated attorney who has a great reputation in our community. Call Douglas W. Hutson, Attorney at Law, today for a free consultation about your case. Our law firm does not charge any legal fees in SSD cases until we recover benefits.